Sir William Robertson Academy’s three-night run of Hairspray: The Musical was a resounding success and a sell-out. More than 70 pupils from Years 7 to Year 13 were in their version of the hit musical and film which they have been rehearsing for since the summer. The production was put together by the Welbourn school’s drama and music departments, led by Bryony Burrough, Head of Drama and Mike Willson, Head of Music with help from Claire Jex. Hairspray is an American musical based on the John Waters’ 1988 film of the same name. The songs involved 1960s-style dance music and downtown rhythm and blues. 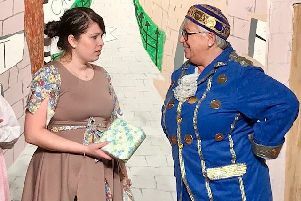 The story tells of Baltimore teenager Tracy Turnblad’s dream to dance on The Corny Collins Show, a local TV dance programme, which she later campaigns for integration. Tracy Turnblad was played by Poppy Haggo (Y11) from Greylees, near Sleaford, Link Larkin was played by Jake Stamp (Y13) from Navenby, Corny Collins was played by Ewan Armstrong (Y13) from Balderton and Penny Pingleton by Katie Randall (Y11) from Wellingore. 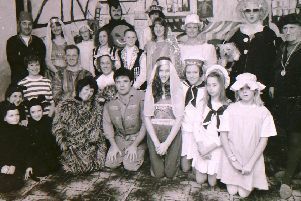 The cast also did a fun workshop tour around the primary schools who later came to see a special matinee performance.